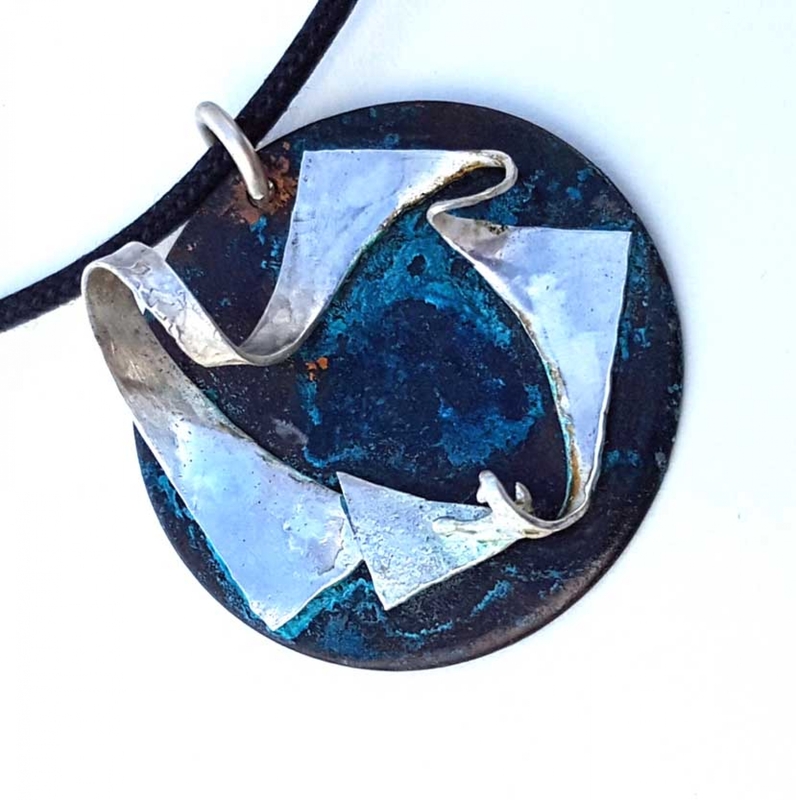 This 1-1/5" pendant is a uniquely patinated copper disk in a rainbow of colors, predominately a vibrant turquoise, with unique touches of sterling silver. One-of-a-kind pendant hangs from a 20-inch black cotton cord necklace (not shown). This StoneWyre creation will be boxed in my smoke-free home studio and shipped in a hand stamped kraft gift box suitable for gifting and storage.